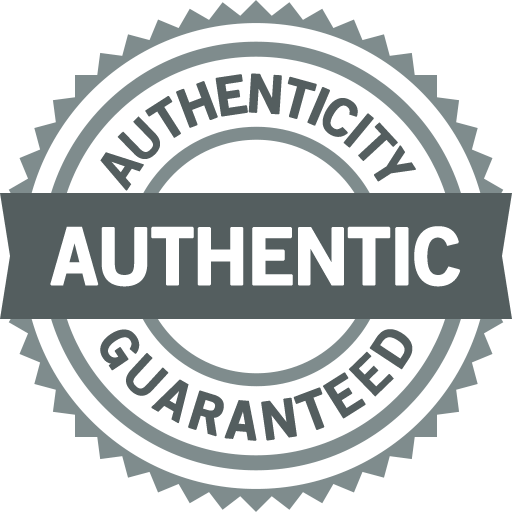 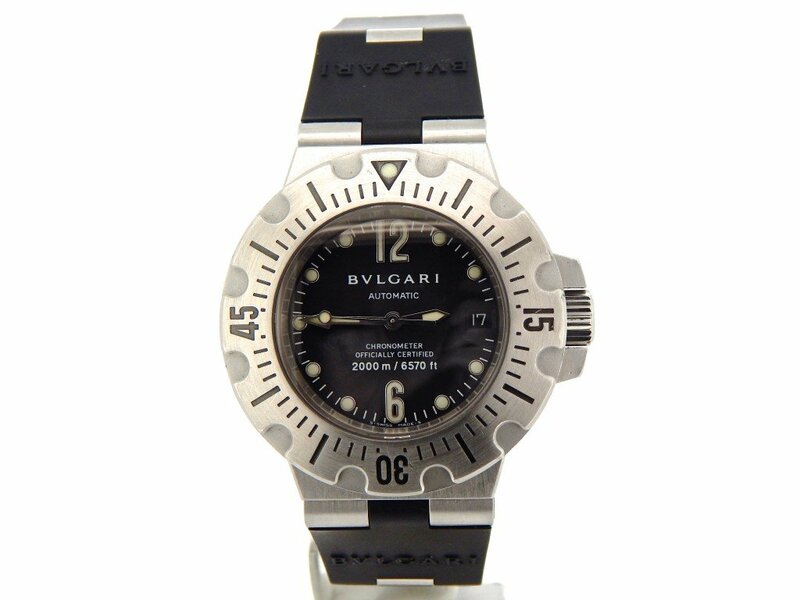 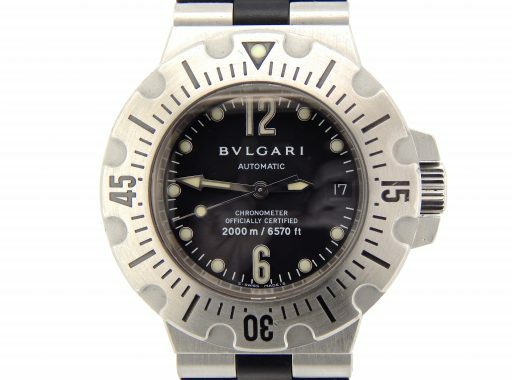 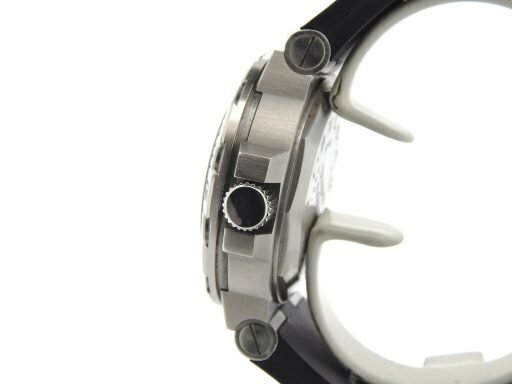 BeckerTime is proud to offer this Mens 42mm 100% GENUINE BVLGARI DIAGONO Stainless Steel Scuba Automatic Watch that is guaranteed to impress! 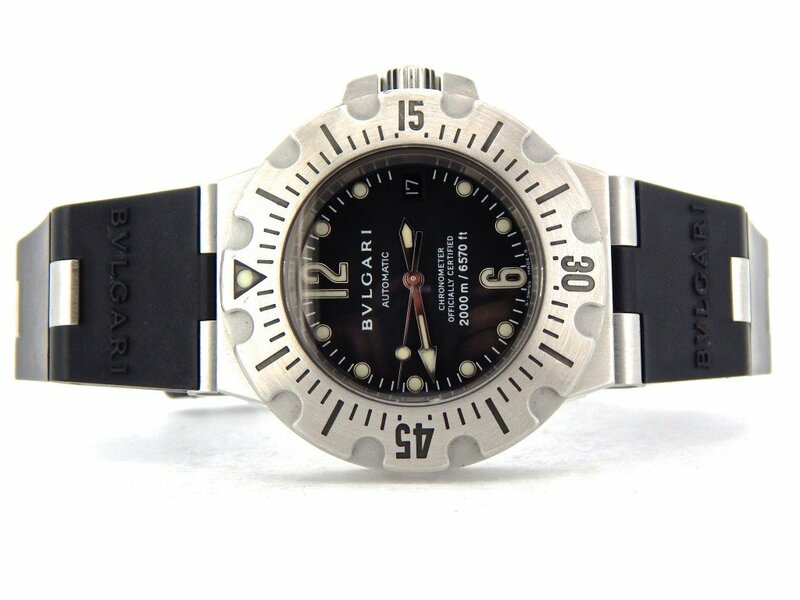 Movement Original Bvlgari Diagono self-winding automatic movement is running strong and keeping excellent time. 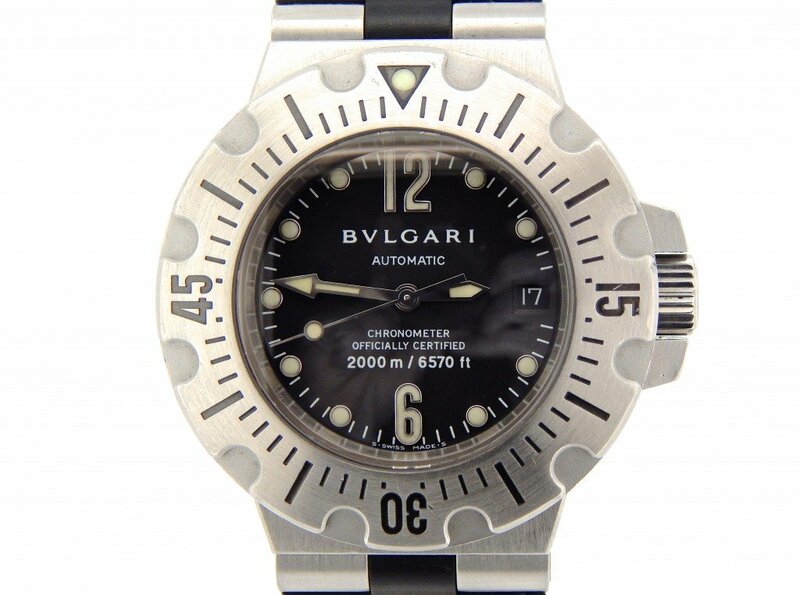 Dial Original Bvlgari Diagono black dial with illuminated markers and raised arabic numeral marks at the 6 & 12. 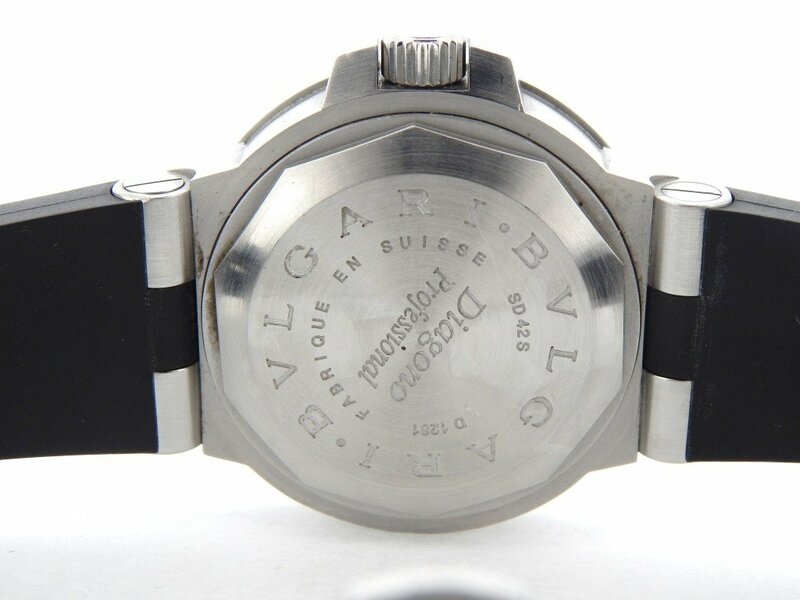 Case Original Bvlgari Diagono stainless steel case is in super excellent condition. 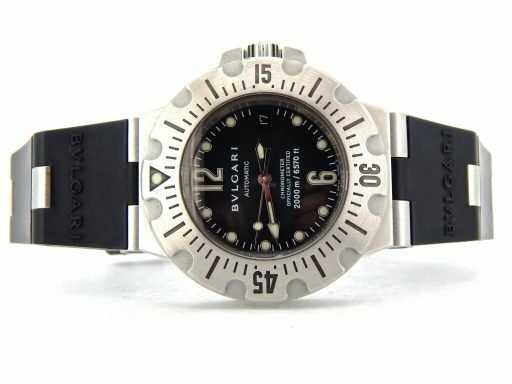 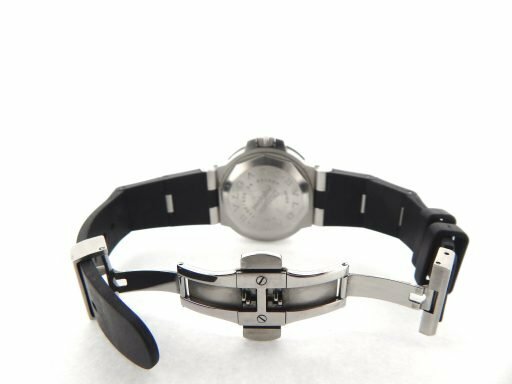 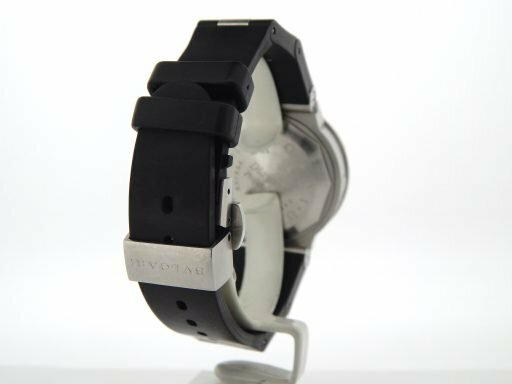 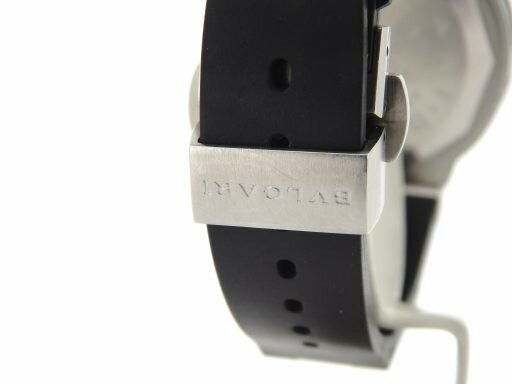 Band Original Bvlgari Diagono genuine black rubber strap with Bvlgari Diagono signed stainless steel deployment buckle is in excellent condition. 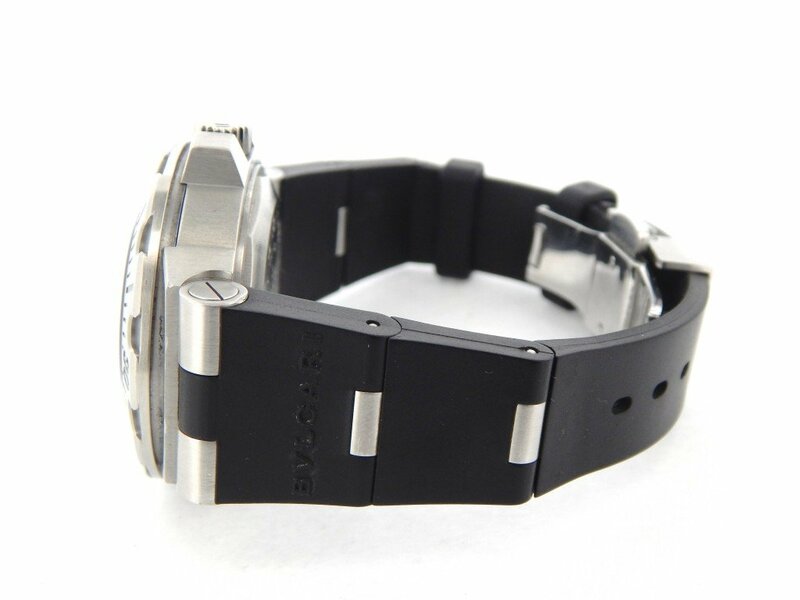 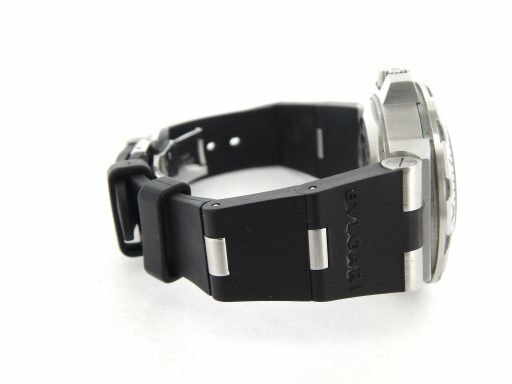 Wrist Size The clasp is adjustable to fit up to an 8 3/4″ wrist.